If your app needs a solid database or you already got data that you want to inject in your Ionic application, there’s the great underlying SQLite database inside that week can use just like any other storage engine to store our data. There are many ways to add some drag and drop functions to your Ionic app, but using the Dragula package has been my favorite so far and something you enjoyed with Ionic 3 previously as well. Authentication for Ionic apps is mandatory in a great amount of apps so we can’t talk enough about the topic. Also, this approach works almost the same for pure Angular apps without Ionic so it’s definitely something you should know about! There’s almost no topic that has appeared more often on this blog than user authentication and this new and updated guide will hopefully enable you to build your own Ionic app with user authentication! When one of your project requirements is to have an offline mode where users can still use the app and information even without a connection, there are different ways to go about this. If your app is working with images and you need to handle both local files and upload files things can get a bit tricky with Ionic. Especially as debugging the filesystem and paths is cumbersome, it’s not automatically clear how everything needs to work. Over the last months we had a series on using Spotify with Ionic and to conclude this series one more post follows that how to truly use the full power of Spotify by combining all previous elements. If you are working with a lot of data you might have encountered the problem of presenting this data in an Excel like way inside your Ionic app. Although the datatable pattern is not always the most recommended for mobile apps, especially in times of PWAs having the ability to create a table within your Ionic app is a great alternative. After our initial setup for the Spotify OAuth dialog we are now ready to create a simple Ionic Spotify client that can access the Web API of Spotify to retrieve all kinds of information about the user, playlists or tracks! After a recent comment under a video of my YouTube channel I was challenged to build an app with Spotify integration – and the process was everything but easy. Within your Ionic App you can easily track the position of your users with the Ionic Geolocation plugin. It is also easy to add a Google Map to your app, so why not combine these 2 features into a useful app? Working with the canvas can be challenging, but there are amazing things you can’t build using it like this little drawing application which can also save your amazing paintings inside the apps folder and load all of them again! Recently one member of the Ionic Academy asked for help regarding a tough situation: How to display dynamic components based on a JSON object structure you might get from an API? Have you ever thought about creating your own custom Ionic Module? Wouldn’t it be nice to publish a part of your work and distribute it through NPM? Truth is, it’s actually more easy than you might think! 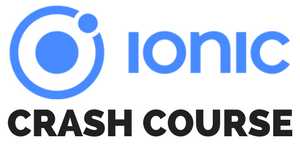 When working with Ionic we mostly use the classic Ionic list and iteration patterns we know about. However, if you have a lot of data to display it makes sense to keep an eye on the Ionic Scroll Performance of your application. We all know that Firebase is pretty amazing when it comes to realtime updates of your data. But what Firebase is also great for is uploading data and files to the private Firebase Storage each of your Apps has! For long time the Amazaon Web Services (AWS) have been around and people love to use it as a backend or simply storage engine. In this series we will see how we can build an Ionic AWS App which can upload files from our Ionic app to a S3 bucket inside AWS with a simple NodeJS server in the middle! This is the second post of our Ionic Image upload series! Last time we were building the Node.js backend and API routes, now it’s time to actually use them from a real Ionic app to upload images, display a list of images and delete single images!